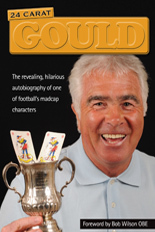 Stand by for more overkill – from the broadcast media, in particular – about the magic of the FA Cup. Fifth-round weekend is approaching, so prepare yourselves for all the clichés you can stomach about the joy and glory of the giant-killer, the chase to be in the draw for the quarter-finals and everything else that goes with what’s supposed to be one of the most romantic competitions in British sport. And then maybe pause to reflect on how the public perception doesn’t quite match up to the hype. Let’s say straightaway that Wolves, sitting pretty in seventh place and lauded in all quarters for their thrilling reintroduction to Premier League life, displayed enough in their ties against Liverpool and Shrewsbury to show they are having a good go in the Cup. But the evidence of the last 70 years ago reminds us in the clearest possible terms that it is seen by the majority as a distant second priority to the League these days – by supporters as well as managers. 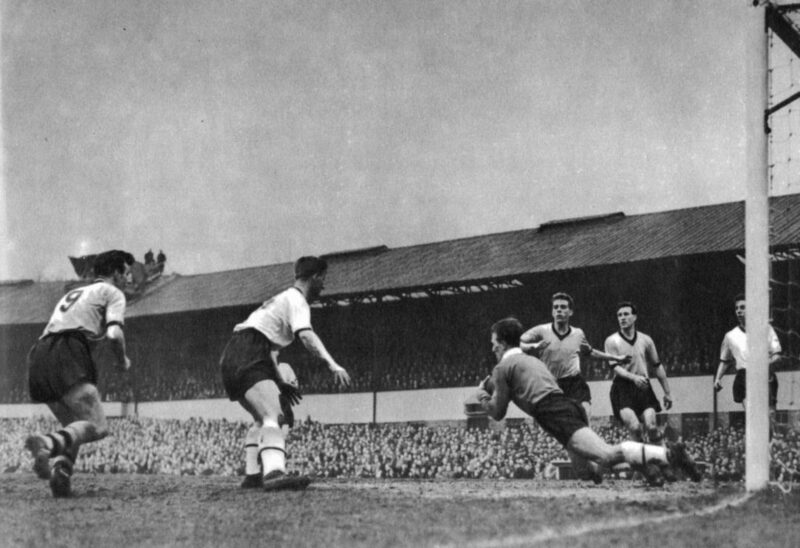 Wolves 6 Darlington 1 in 1958. The attendance was a cool 55,778. When Wolves won the League Championship in 1957-58, their average First Division home attendance was 37,317. That was more than 6,000 down on the turn-out for the home tie against Portsmouth in the same season and over 18,000 below the gate for the fifth-round visit of Darlington, who brought 7,000 of their own supporters to the West Midlands. The following season, when Stan Cullis’s men retained their crown, the average Molineux crowd for League games was 38,439. In the one FA Cup game played at the ground that season, a fourth-round visit of Bolton, the turn-out was 55,621. There was no doubt which competition was seen then as the more glamorous one. 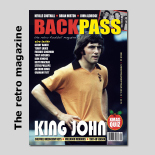 From the time the League programme resumed after the war, Wolves’ average attendance for home FA Cup games was higher than their average League crowd in 30 of the 32 seasons in which Molineux staged at least one tie. The exceptions were 1946-47, when their sustained title challenge resulted in a League average crowd of 43,254 (the average of their two home Cup ties was marginally below at 43,173) and 1977-78, when the midweek replay visit of Exeter generated a 19,692 gate that was approaching 3,000 down on a League average of 22,316. The pattern continued in more recent decades. Although the soggy clash with Chorley was watched by a 4,790 crowd that was considerably below the 1986-87 League ‘norm’ of 5,754, the Cup average crowd at Molineux exceeded the League equivalent in eight of the last 11 seasons in which Wolves were handed one home draw or more up to the end of the 20th century. Figures in the subsequent years have become distorted, although that sub-9,000 turn-out for the Albion v Brighton replay last week was an absolute shocker by any standards. By and large, season ticket holders have continued to pay for Cup tickets but the spread of special-price games, as for Wolves’ replay against Shrewsbury last week, make comparisons difficult, suffice to say that Wolves didn’t fill all their seats for the visit of Liverpool. At the same time, demand far exceeds supply of tickets for every home League game of 2018-19. So the League is now king and the Cup is very much second best. Just as the Premier League hold the aces and the FA are playing catch-up. I lament how the Cup has lost its truly special feel. Ties used to mean more than League games because there were 40 or so others of those to make up for any slips. Not in sudden-death football. 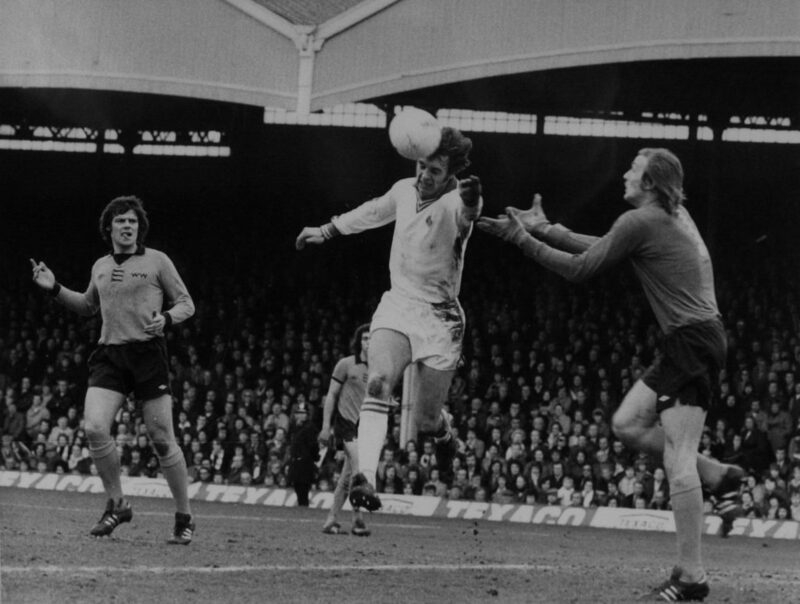 Cup day……Wolves v Leeds in 1977. Crowd: 49,770. That said, how I long for a Wolves victory at the weekend and how, too, I appreciate that the flip side of the Cup’s partial loss of appeal is that the League is more exciting. Not in the sense of it being an open race….those days are gone in the Premier League, although someone forgot to tell Claudio Ranieri and Leicester. But the growth of the Champions League and availability of a Europa League place or two has extended interest for those in mid-table and the fact three teams go down out of 20 means it’s much tighter at the bottom, too, than when two took the drop from a 22-club division. Likewise, the play-offs, plus vastly improved pitches, have made the other three divisions more interesting and the game has lots to commend it. Sadly, the Cup has lost something. Whether Manchester United started it by declining to enter, whether we became fed up with ties and the draw being moved, whether it was the over-use of Wembley or whether it’s the resting of star players, something has gone – and we need it back. Posted on: Wednesday, February 13th, 2019.